Three enterprising young boys are trying to make their Toronto neighbourhood safer for pedestrians — to prevent a tragic accident like the one that killed a little girl back in 2014. "I've seen that a lot of people are using it," said Grade 6 student Oliver Wong. 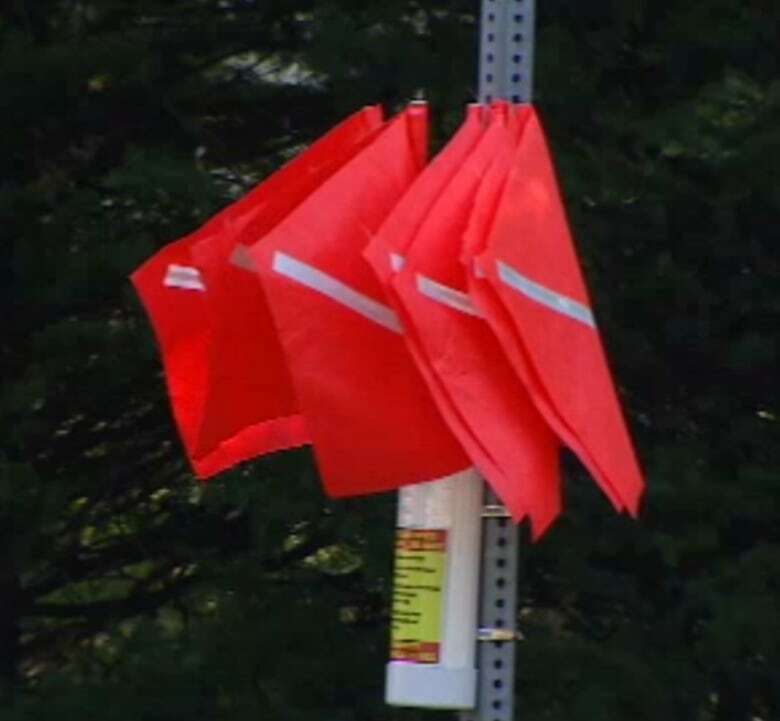 After taking part in a business camp this summer, Oliver and two friends, Arnav Shah and Quinlan Birmingham, started the Crosswalk Company, placing orange flags at the intersection of Rumsey Road and Donlea Drive near Northlea Elementary and Middle School, where they attend class. When someone wants to cross the street they take the large flag with them leaving it in a holder on the opposite side. Arnav says a tragedy that happened in the neighbourhood several years ago was on their minds when they came up with the idea. "I think that there is no limit when you are trying to save people. I mean the Georgia Walsh tragedy, we just never want that to happen again," he said. 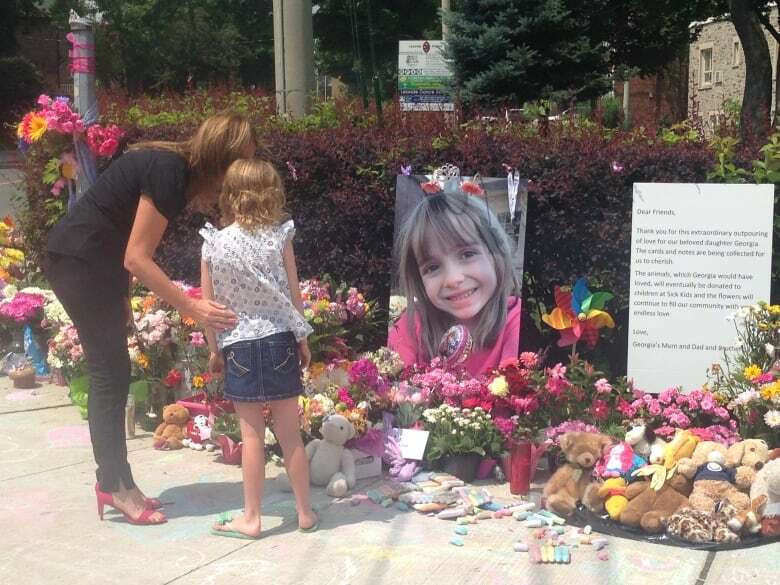 In 2014, Georgia was struck and killed while crossing a street only minutes away in the same Leaside neighbourhood. The little girl's death prompted a campaign to get drivers in the area to slow down. Quinlan Birmingham says the flag system is really catching on. "Over the summer we've been doing testing and data collection on how the flag system works and if people were using it. Before Labour Day, the usage rate was 16 per cent, but after Labour Day the usage is 67 per cent." Barbara Sandler, the principal at Northlea, lauds the students for trying to find creative solutions. "The kids are really looking to solve problems in the area that are relevant. They are coming up with very entrepreneurial ideas. Traffic and pedestrian safety are significant issues," Sandler told CBC Toronto. "We have the LRT construction on Eglinton and that creates a lot of traffic in the neighbourhood, so they are addressing something that is important to everybody." The boys are now looking for ways to fund the expansion of their Crosswalk Company to other intersections. For drivers like Keith D'Souza, the attention-grabbing flags are a welcome sight. "There are always distractions when you are driving, so anything that will help drivers and pedestrians, that's a win-win situation."